The Federal Aviation Administration received repeated warnings in the months prior to Sept. 11, 2001, about al Qaeda and its desire to attack airlines, according to a previously undisclosed report by the commission that investigated the terror attacks. The report by the Sept. 11 commission detailed 52 such warnings given to FAA leaders from April to Sept. 10, 2001, about the radical Islamic terrorist group and its leader, Osama bin Laden. CBS News Correspondent Bob Orr reports that the heavily redacted report has been held by the Bush Administration since August. The commission report, just released, said five security warnings mentioned al Qaeda's training for hijackings and two reports concerned suicide operations not connected to aviation. Tim Roemer, a member of the 9/11 commission, says the persistent warnings should have triggered alarm. "Increasingly there were concerns about something domestically," Roemer told CBS' Orr. "And that that domestic activity might include some sort of suicide hijacking." However, none of the warnings pinpointed what would happen on Sept. 11. FAA spokeswoman Laura Brown on Thursday said the agency received intelligence from other agencies, which it passed on to airlines and airports. But, she said, "We had no specific information about means or methods that would have enabled us to tailor any countermeasures." Brown also said the FAA was in the process of tightening security at the time of the attacks. "We were spending $100 million a year to deploy explosive detection equipment at the airports," she said. The agency was also close to issuing a regulation that would have set higher standards for screeners and, for the first time, give it direct control over the screening work force. Al Felzenberg, former spokesman for the 9/11 commission, which went out of business last summer, said the government had not completed a review of the 120-page report for declassification purposes until recently. Carol Ashley of Rockville Centre, N.Y., whose daughter died in the attacks, said the report should have been released sooner. "I'm just appalled that this was withheld for five months. That contributes to the idea that the government knew something and didn't act, it contributes to the conspiracy theories out there. We need to rebut those with the actual facts, but we need the facts to do that," she said. California Rep. Henry Waxman, ranking Democrat on the Government Reform Committee, asked for a hearing on whether the Bush administration played politics with the report's release. The letter, also signed by Rep. Carolyn Maloney, D-N.Y., said the committee should probe whether the report was delayed until after the November elections and the confirmation of Condoleezza Rice as secretary of state. The unclassified version, first reported by The New York Times, was made available by the National Archives Thursday. Aviation officials were "lulled into a false sense of security" and "intelligence that indicated a real and growing threat leading up to 9/ll did not stimulate significant increases in security procedures." Of the FAA's 105 daily intelligence summaries between April 1, 2001 and Sept. 10, 2001, 52 mentioned bin Laden, al Qaeda, or both, "mostly in regard to overseas threats." The FAA did not expand the use of in-flight air marshals or tighten airport screening for weapons. It said FAA officials were more concerned with reducing airline congestion, lessening delays and easing air carriers' financial problems than thwarting a terrorist attack. 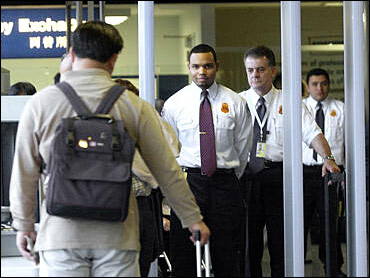 A proposed rule to improve passenger screening and other security measures ordered by Congress in 1996 had been held up by the Office of Management and Budget and was still not in effect when the attacks occurred, according to the FAA. Information in this report was available to members of the 9/11 commission when they issued their public report last summer. That report itself contained criticisms of FAA operations.